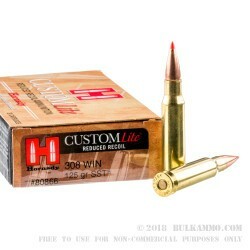 Hornady’s Custom Lite line is designed for anyone looking to have less wear-and-tear during their next shooting excursion with their favorite .308 chambered rifle. The Custom Lite design allows for less recoil and muzzle blast, while still providing an accurate round, making them great for kids and smaller individuals. 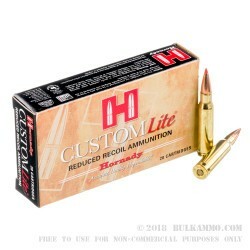 These shells are ideal for the range or for hunting and utilize lighter projectiles and powder loads for recoil reduction, while still using the highly effective SST bullet from Hornady. The Super Shok Tip, or SST, from Hornady features a polymer tip and Hornady’s innovative Interlock ring. This ring keeps the core and jacket together for maximal weight retention and expansion, creating devastating wound channels in medium-sized game. 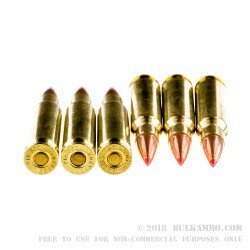 Capable of a muzzle velocity of 2675 FPS, these .308 Winchester rounds feature 125-grain SST projectile loaded into boxer-primed, noncorrosive, reloadable brass cases. 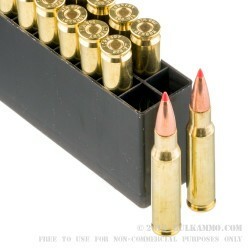 Each box contains 20 rounds of .308 Win Lite by Hornady and there are 10 boxes in this case. Striving to be on the cutting-edge of ammunition technology, Hornady has become a world leader in ammunition production. Beginning as a reloading supplies company, Hornady has become an American ammunition institution, producing some of the highest quality ammunition available.